How can a restaurant practice both a farm-to-table and sea-to-table philosophy? Chef Jeff Scheer of the Mill House shares a story of food on the island of Maui, Hawaii. What core values and commitments inspired the Mill House restaurant? Jeff Scheer: The Mill House is comprised of a team of people who are passionate about creating the ultimate dining experience. It is more than just food and service, it’s about our setting and our story. 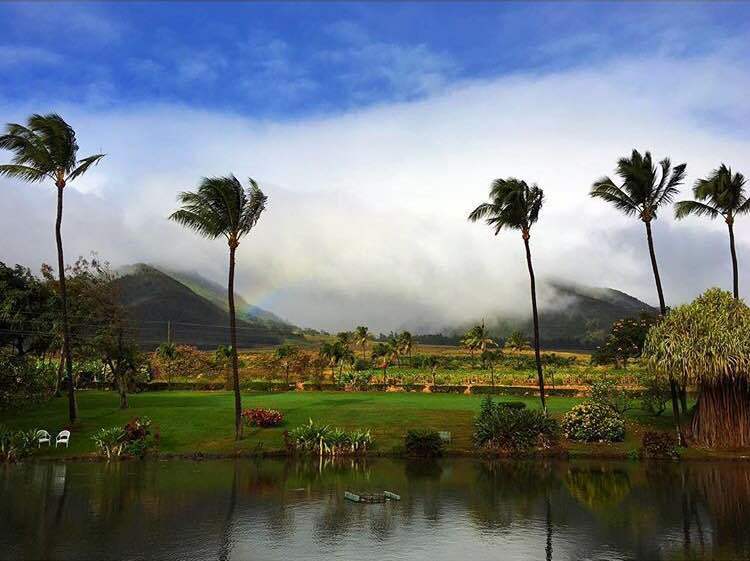 Everything we do at the Maui tropical plantation is done to better ourselves and our way of life. We strive to make everything from start to finish, believing that it makes us better and provides the best quality food and experience. What are the unique challenges and opportunities of sourcing local food on Maui? Jeff Scheer: Sourcing food locally takes commitment and flexibility. We don’t ask for the farmers to grow anything specifically. They know their fields and their seasonality better than we do. We work with them directly so we can plan menu items around what they do best. At the Millhouse we cook. We understand the inconsistencies you get with farming due to bad weather, droughts and pest issues. As chefs we have to be willing to change a menu item or create something new on the fly when issues like this occur and that’s part of what makes our project so special. 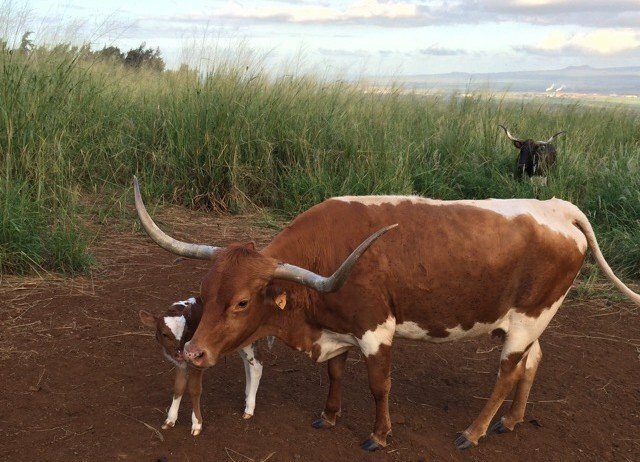 We source the finest meats, including Texas Longhorns from our property, certified organic beef from “Beef and Blooms,” and pork from Malama Farm in Haiku. The whole animal is purchased and hand butchered in our kitchen. We have a deep respect for the animals and fish we use and it shows on our menu. “Nose to tail,” nothing is wasted. How does the restaurant practice both a farm-to-table and sea-to-table philosophy? Jeff Scheer: We like to say “we are the farm.” Hoaloha Farms and Kumu Farms are literally at the backdoor of our restaurant, and give us immediate access to fresh produce. We also grow microgreens in the back of our kitchen. 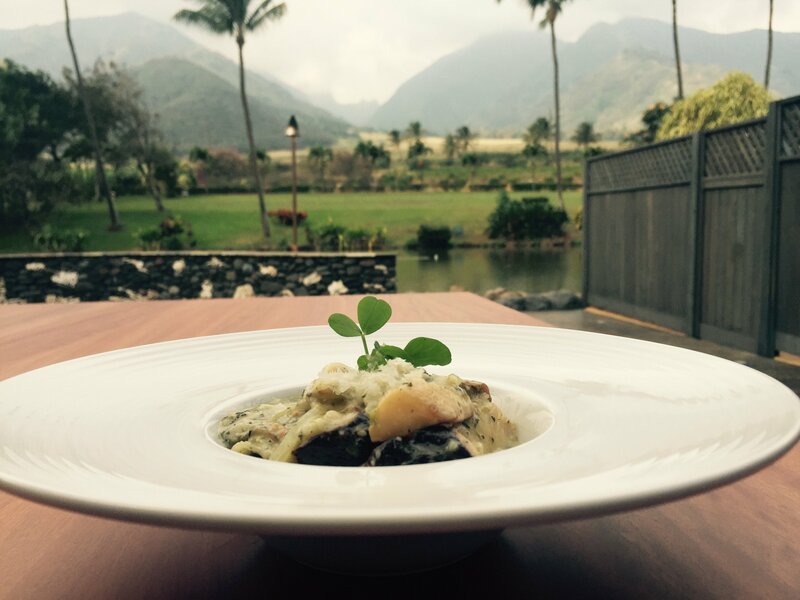 Our menu features elements from these two farms and other Maui farmers who we work closely with. We use only fresh ingredients and we make everything in house—from whole butchery, to bread and baked goods. We also work closely with local fishermen who deliver us a daily catch. What does a sustainable food future look like for Maui? Jeff Scheer: The population of Maui is growing. For the most part, the island residents are more in tune with their surroundings. We might see an influx of shopping malls and larger highways, however we are seeing more farms and more sustainable practices emerge all around us. Sugarcane is no longer going to be a plantation crop on Maui. Hopefully, we will see some other form of agriculture take its place that will make the island’s agriculture more diverse and promote genuine sustainability. What does food literacy mean to you? Jeff Scheer: Food literacy is a combination of understanding both where our food comes from and the practices and techniques used to get it from the farmer to our plate. There is a lot more involved than people realize. From washing produce just picked from the ground, to butchering whole animals, nothing is taken for granted and everything is used. Our commitment to create unique dishes and food that is different and exciting does not come with ease. There is a certain skill set required and an amazing amount of time and patience. Food literacy is knowing about the work and appreciating the process, from seed to table. Executive Chef Jeff Scheer leads the innovative culinary team at The Mill House. From a small town in southeastern Ohio, Jeff was drawn to the kitchen at a young age, acquiring his love for cooking from his grandmother. 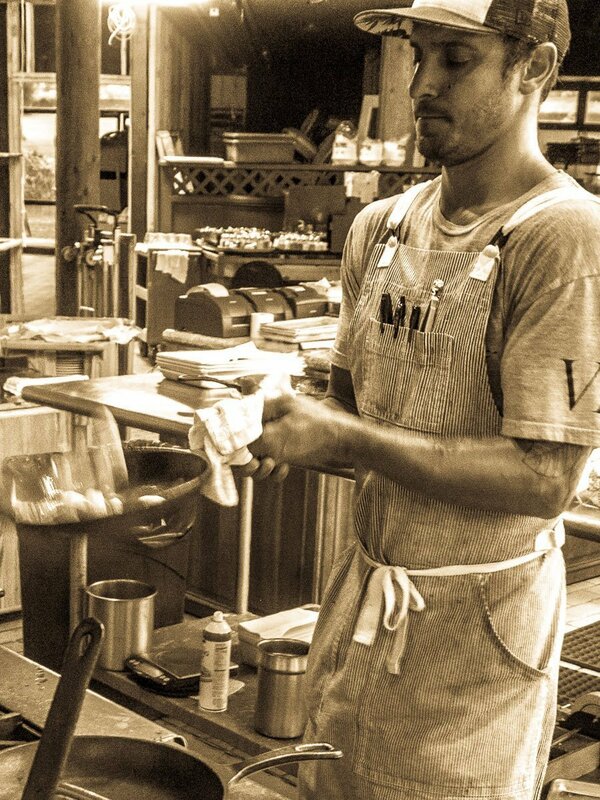 He studied and apprenticed (both in the kitchen and in the fields) throughout California and Oahu. Upon arriving in Maui, Jeff knew he had found home. Following graduation from the Maui Culinary Academy in 2008, a small private chef business evolved into “Maui Executive Catering” and its acclaimed “Chef’s Table” events. Now at the helm of The Mill House dining experience and all the venues it encompasses at Maui Tropical Plantation, Jeff practices a “farm to table” model by growing and sourcing unique and timely ingredients that are literally yards from the kitchen.